After CME announced that they would soon be offering Bitcoin futures, the price of the digital currency took a big upward swing. However, CME is of the opinion that futures could actually put a stop to Bitcoin’s synonymous volatility. CME will be putting in place special price fluctuation limits that will help protect investors from the notorious price swings, but these same protections could also help ease the price swings and make the digital currency settle down somewhat. 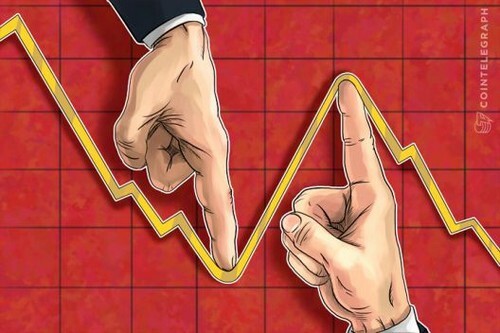 CME will implement special price fluctuation limits at seven percent and 13 percent above or below the prior settlement price, and prevent trading outside the 20 percent range, according to details the exchange released. These protections sound familiar to some as they are based on what is allowed on US stock index futures. The thoughts are that these same protections have helped the stock exchange, but it is more important for the violently volatile Bitcoin. For new investors, Bitcoin is a terrifying yet exhilarating ride. It can fluctuate hundreds of dollars a day and is even prone to drops of as big as 40 percent. The last big drop happened as early back as September. Because Bitcoin is such a new concept, and even a new asset class, it has seen its introduction into the market as violent. Volatility in the early days was incredibly high and quite erratic. However, it is starting to settle somewhat and is also less affected by changes. Many believe that it is these violent swings that are stopping mass adoption of the digital currency, especially as a currency. If there was a more steady rate, then Bitcoin would be able to stretch more towards being a currency while still holding onto its power as a store of value. As is often the case in the Bitcoin ecosystem, it often just needs one to take the first plunge. CME opened the door for futures and that could well be opening the doors for ETFs. The Chicago Board Options Exchange, the largest US options exchange now known as Cboe Options is also planning to offer Bitcoin futures by early next year. Chris Concannon, president and chief operating officer at Cboe Global Markets, said Tuesday that having regulated futures for Bitcoin helps the case for a Bitcoin ETF. “And over time, we do envision ETFs coming to market once the regulated futures market is built and liquid,” Concannon said.